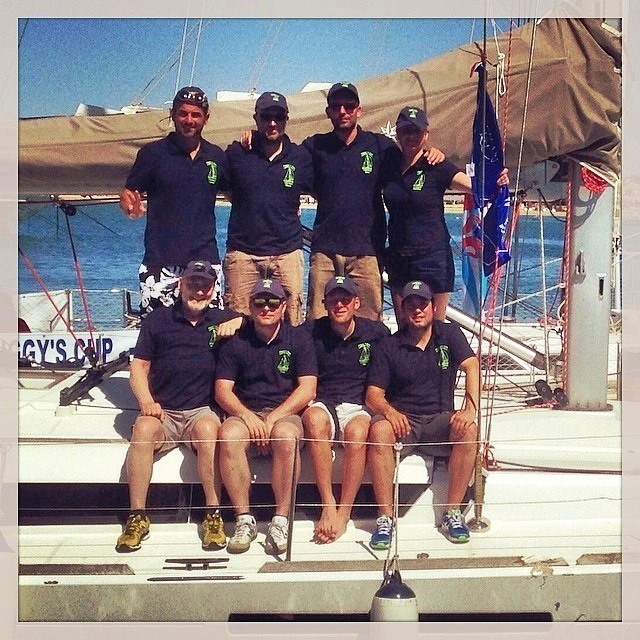 The 2014 Siggy`s Cup for 5 off share sailing races around Ibiza had the first time a crew of sports men and 1 woman participating. The Trilux participants were Tim (co-skipper), Lucas and myself (experienced skipper). We got the support from Martin who provided us with good wine framboise fuel from her own production, Tom the brother of Tim, Fred a friend of Tim&Tom suffering terrible sea-sickness during the first day, two greek amateurs nothing to do with triathlon but completing this interational crew. We finished all 5 races during the 4 days and nights on sea, ended up with place 16 out of 23 boats (due to a collision with an other boat who did not respect our priority we lost at least 5 minutes in this race which would have put us inthe upper middle field of the final result, In total we had great fun, sunny weather, a bit lack of wind, saw impressive delfins, gave evidence that also triathlets are able to enjoy, emptied dozens of beers, got great food produced by nearly everybody inclduing the skippers obligatory Kässpätzle (1 kg swiss emmenthal, 1 g onions, 12 eggs, half a kilo flower….). 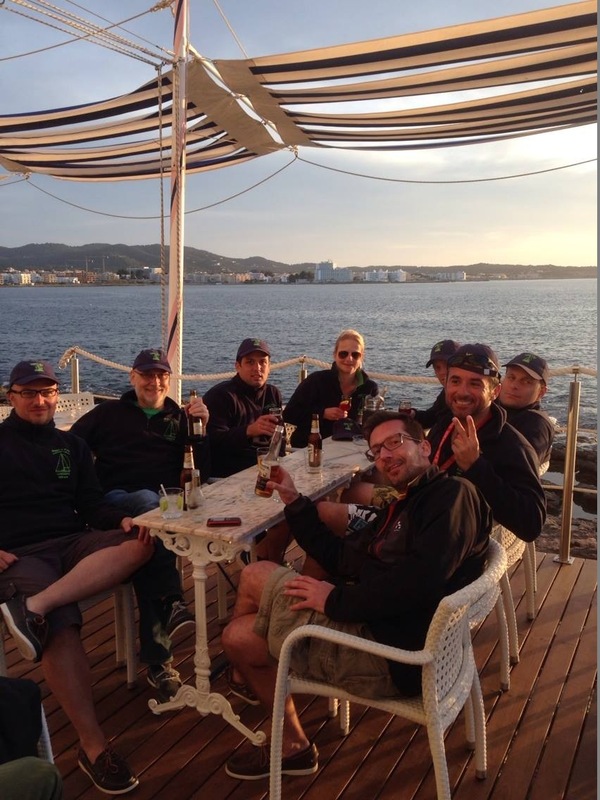 … and we did not miss the cafe del mar on the first evening and for most of the crew the famous El Pacha disco in Ibiza. between 80 and 90 miles survived…… next year to improve the gender balance.